Cleansing the Liver after Taking Pharmaceutical Drugs - YeastInfection.Org by Eric Bakker N.D.
One factor which is rarely considered after patients have been prescribed pharmaceuticals is that of detoxifying the body and in particular the liver. This is because many people fail to realize that not only can prescription drugs remain in the body and continue to work long after their illness has been treated, but also that most drugs contain ingredients which are completely unrelated to treating the illness, but which make it easier for the manufacturer to produce and standardize. For example, most modern pharmaceuticals contain what are known as fillers and flow-agents. These are compounds used to either bulk the product out while also making sure it does not disintegrate after being made, and others which help the original material flow through machinery without it becoming clogged or damaged. Similar compounds are also introduced into liquid medications whether they are being taken orally or injected. For example, many oral liquids contain stabilizers, flavorings and chemicals which prolong the shelf life. Injections are simply medications introduced into a fluid which allows it to be injected. Such fluids can contain many other chemicals which allow the product to remain stable or even to act as what are known as ‘buffers.’ Simply put this means chemicals are added which are meant to limit the ‘sting’ the patient feels when they are injected. Brain fog. A feeling of not quite being ‘with it’ and suffering from general fogginess which is difficult to shake off even after a good nights sleep. Recurring headaches or a strange head pain reflected as a dull sensation. General queasiness and nausea. This is often accompanied by digestive dysfunction. Poor appetite. Patients tend to find even their favorite foods lack appeal. Fatigue. This can affect your daily regime to the point it is difficult to get out of bed. Increasing anxiety and a corresponding decrease in motivation. These symptoms are often accompanied by the tendency to become angry more easily. Drugs. Often patients in this stage find that drugs which have previously had a desired effect, fail to provide a positive response even when dosages are increased. All the above symptoms can reflect problems caused by a build-up of toxins in the body and a liver which is feeling overwhelmed by the influx and simply cannot clear them fast enough. Yet when we talk of ‘detoxifying the liver’ we are being a little misleading because what we are actually trying to do is to provide assistance to the liver so it can do its job effectively when under increased pressure. Another way in which the liver detoxifies is to add compounds to certain toxins which results in making them not only less harmful, but more easily excreted by the body. One of the main ways in which it does this is by turning an oil based toxin into a water based one. Water based substances are much more easily disposed of by the body through the urine and require less ‘processing’ by other organs. Neither are they stored in adipose tissue and released slowly back into the body. This function of the liver is particularly relevant when it comes to pharmaceuticals and there are certain foods, including those which naturally contain sulfur, such as garlic, which can aid the liver in this process. Freshly ground dandelion root coffee makes a good replacement for your normal coffee or tea beverage. When it comes to choosing your vegetables and spices try, wherever possible to purchase local, organically grown produce. Often vegetables which are imported, and certainly herbs and spices, are irradiated. This has been shown in several instances to inactivate the enzymatic activity within such foods and, since it is the enzymes which are important to their efficacy, then you want to be as sure as you can be that they will work. Another recommendation that I would urge you to consider is that of Swedish or Digestive Bitters. These stimulate secretions in the stomach and assist in balancing the metabolic processes and so keep the digestive function running effectively. 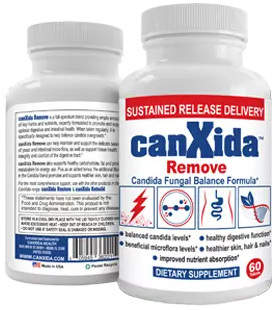 If you are looking for a supplement to add to your detoxing regime, then my preferred choice would be for CanXida Remove. It contains garlic that is has been aged but you can purchase any other high end supplement but when purchasing make sure you look for a high quality product from a reputable source. One other suggestion I would make when entering onto a program to assist your liver in the detoxifying process is to steer clear of alcohol wherever possible. Other than that it is probably sufficient to include the above in your diet for around 3 months to ensure maximum effects with the minimum of fuss! I’m curious about toxins stored in body fat. If a toxin, such as a pharmaceutical, is introduced to the body for a month(or any timespan) will the toxins permeate and become stored into all fat throughout the body, from the organ linings all the way out to the skin? Would a thorough cleanse from the pharmaceuticals then require the body to melt of all body fat in order to completely eliminate the pharmaceutical traces from the biome?